Yep, each of these, and many of carbalicious food items actually do exist in low-carb, high-fat nutrient dense recipes. You just have to know what to do, and you have to be willing to think outside the box of how most ketogenic eaters operate: which is basically drinking copious amounts of full-fat coconut milk, buying avocados by the dozen and going through a stick of butter every couple days. 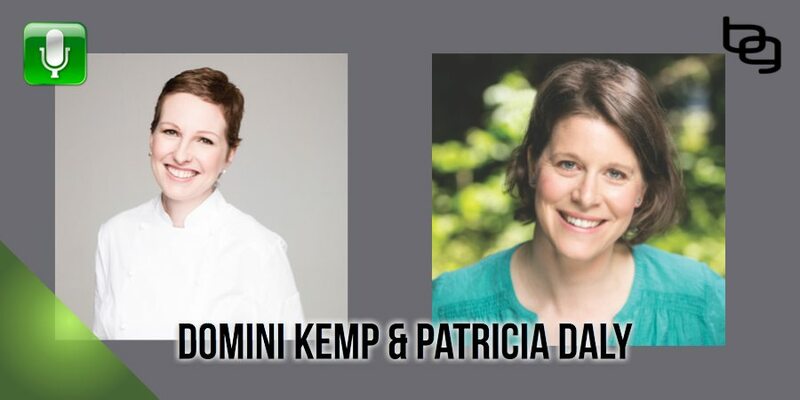 Cancer survivors Domini Kemp and Patricia Daly just put the finishing touches on the first-ever comprehensive ketogenic cookbook – a cookbook based on the latest research on nutritional approaches to the prevention and management of cancer and a ketogenic diet. But this book is chock full of delicious recipes and practical ketogenic tips that go way above and beyond just cancer management. For decades, the ketogenic diet―which shifts the body’s metabolism from burning glucose to burning fat, lowering blood sugar and insulin and resulting in a metabolic state known as ketosis―has been used to successfully manage pediatric epilepsy. More recently, it has been used by the Paleo community as a weight loss strategy. Now emerging research suggests that a ketogenic diet, in conjunction with conventional treatments, also offers new hope for those coping with cancer and other serious disease. Domini Kemp is an award winning chef, food writer, and entrepreneur. In 2013, she was diagnosed with breast cancer and since then she has shifted her focus towards healthier eating. She changed her column in the Irish Times to focus on healthier recipes and opened Alchemy Juice Co., a juice and wholefoods cafe. The Ketogenic Kitchen is her fifth cookbook. Patricia Daly is an experienced nutritional therapist and author specializing in cancer care and the ketogenic diet in particular. She has worked with hundreds of cancer patients in Ireland and abroad, lectures at the Irish Institute of Nutrition and Health, and is a well-regarded speaker at conferences and in cancer centers. After writing three eBooks, including “PRACTICAL KETO MEAL PLANS FOR ENDURANCE ATHLETES: Tips, Tricks And How To’s For Optimizing Performance Using A High Fat, Low Carb Meal Plan“, The Ketogenic Kitchen is her first print book. -Book: The Ketogenic Kitchen: Low carb. High fat. Extraordinary Health. Kimera Koffee – Proven to help you increase focus, power output and cognition. Go to KimeraKoffee.com and use code BEN to get 10% off! Blue Apron – Create incredible home cooked meals and get your first three meals free, with free shipping! Go to BlueApron.com/Ben. Organifi – For the best tasting greens superfood blend, go to BenGreenfieldFitness.com/organifi and use code BEN for 20% off your order. Marc Pro – For pain relief and faster muscle recovery time, use promo code BEN for 5% off at marcpro.com. Do you have questions, thoughts or feedback for Domini, Patricia or me? Leave your comments below and one of us will reply!